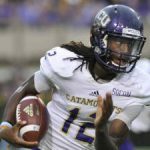 Four players including Kyle Sloter from Northern Colorado, Tyrie Adams from Western Carolina, Jeremy Taylor from North Carolina A&T, and Jerry Louie-McGee from Montana have been selected as the College Sports Journal All-Stars for the week ending September 11th, 2016 in the NCAA Division I Football Championship Subdivision. Sloter came off the bench when starter Jacob Knipp suffered a shoulder injury on the Bears’ early in the first quarter at the Southland’s Abilene Christian and produced 408 passing yards and seven total touchdowns in UNC’s 55-52 victory. He transferred from FBS Southern Miss before last year but was the backup signal caller after fall practices. 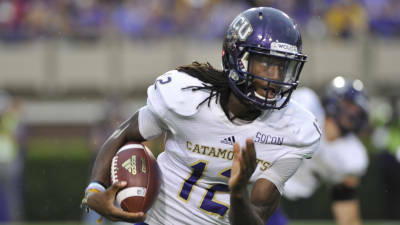 He completed 25 of 32 attempts with six touchdowns – tying the school record and the most in the Bears’ Division I era – with one interception. He also rushed for 41 yards and another score. 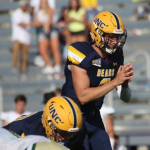 Taylor highlighted an Aggie defense that defeated FBS Kent State 39-36 in four overtimes – the Mid-Eastern Athletic Conference’s first win over an FBS opponent this year. 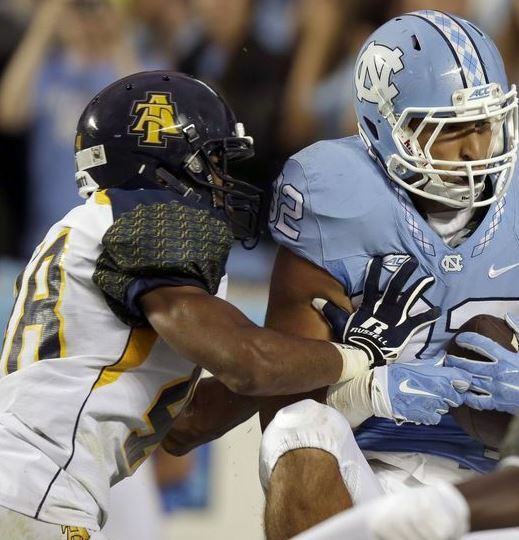 He led the N.C. A&T defense with 15 tackles, including 12 solos. He had four tackles for loss, two sacks, intercepted a pass in his team’s end zone to prevent a touchdown to help force overtime, broke up two other passes and forced a fumble and recovered it. 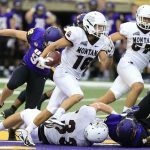 The Montana Grizzlies earned the one of the weekend’s biggest road victories, registering a 20-14 win at Northern Iowa. 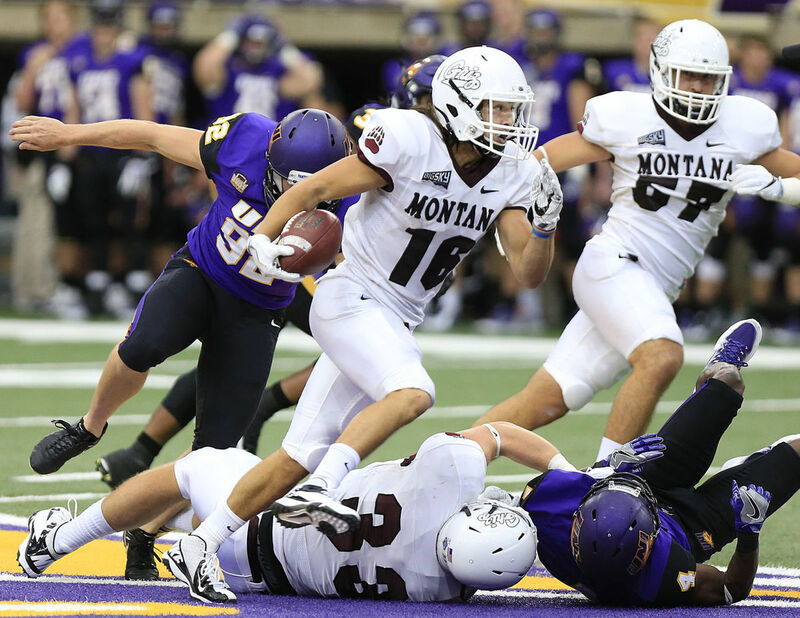 One of the key players who gave Montana a spark whenever it was needed was punt returner Jerry Louie-McGee. He sealed the win for the Grizzlies with an 81-yard touchdown return in the second quarter that put Montana up 17-7. He ended with 118 return yards, to go along with 33 receiving yards and 11 rushing yards. The 118 return yards was the third-highest single game performance in the nation so far this season.